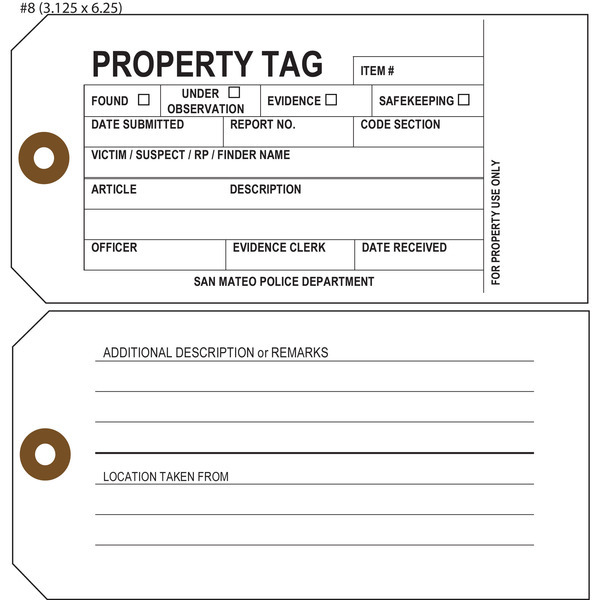 Evidence tags are a necessary component during crime scene investigations, and organization is extremely important. 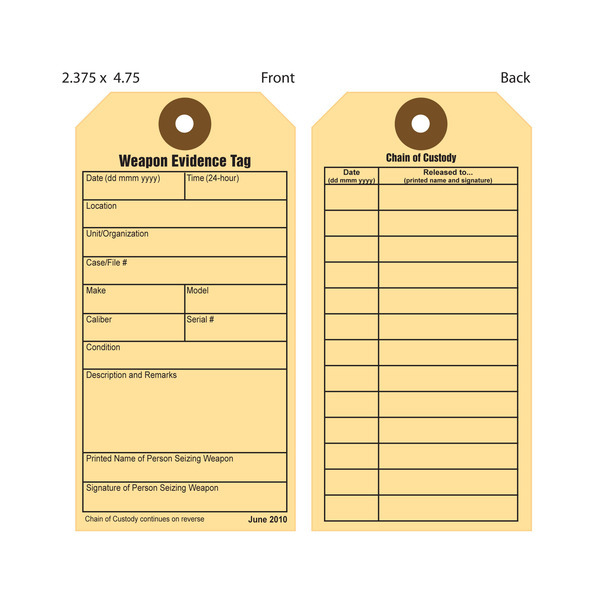 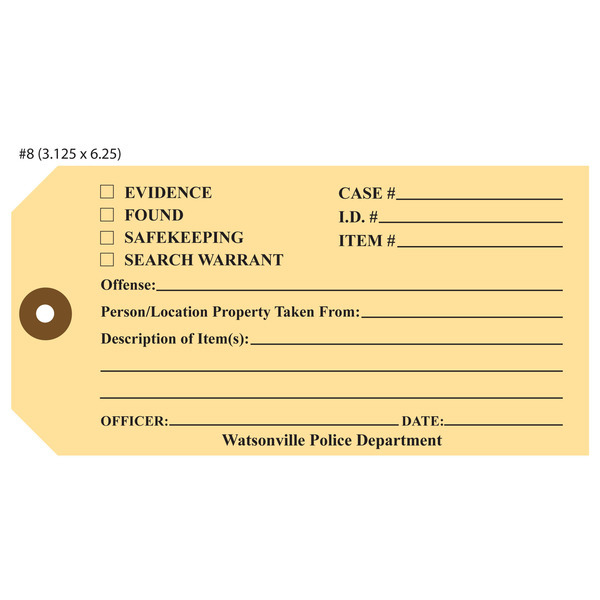 Ensure the control and orderliness of evidence and case information for your law enforcement agency with custom printed evidence tags from St. Louis Tag. 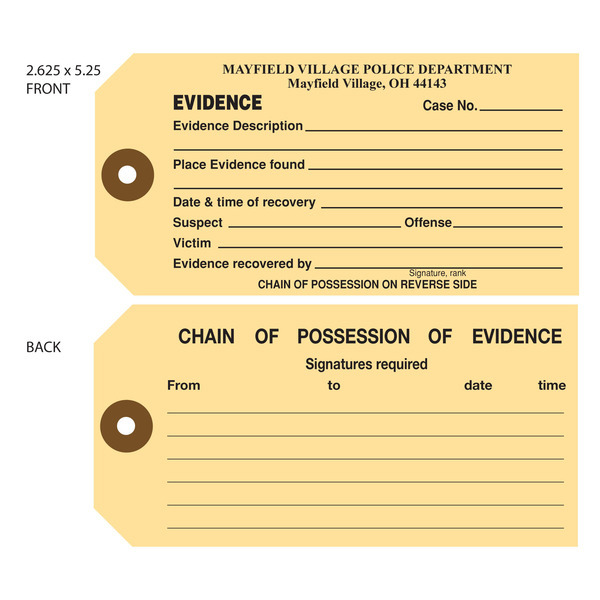 Our evidence tags typically come in bright, fluorescent yellow, white or tan colors with black imprint, but we also offer a variety of other colors, shapes, sizes and finishing options to meet our client’s specific needs, as different municipalities have many different requirements. 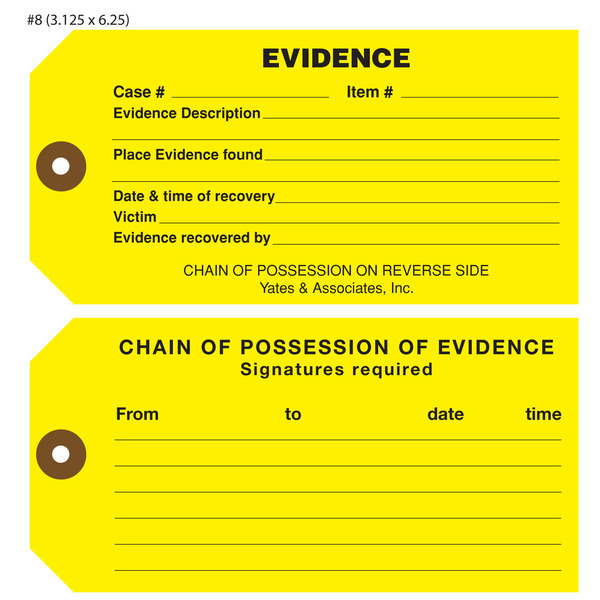 We can even offer special barcodes, hole-punching, sequential numbering, metal eyelets and perforation options. 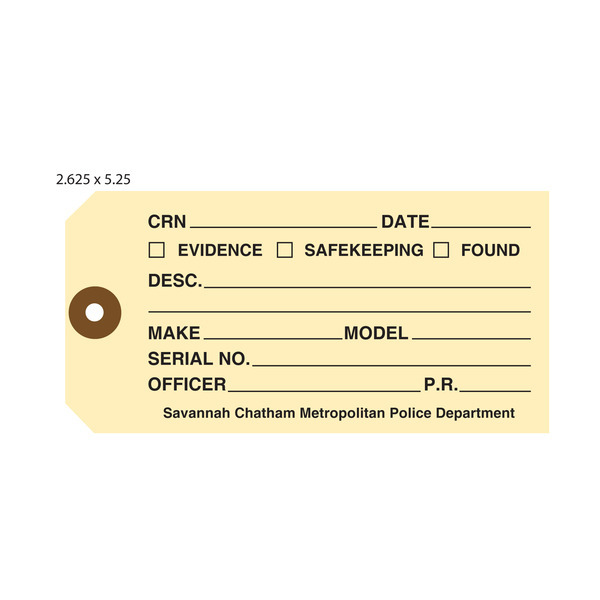 View some of our examples above and Contact Us today to get more information about custom-manufactured evidence tags that meet your exact specifications. 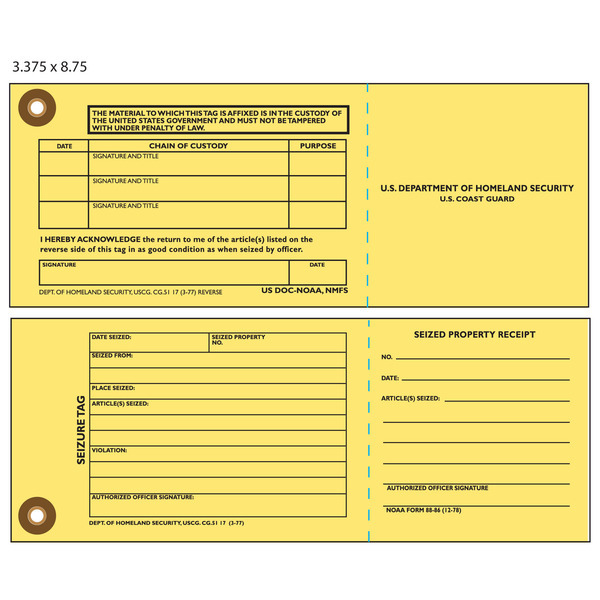 Yes, I would like to receive news from St. louis Tag Co.
Before submitting this request, please include as much information as possible about your tag project needs in the above "Message" box.